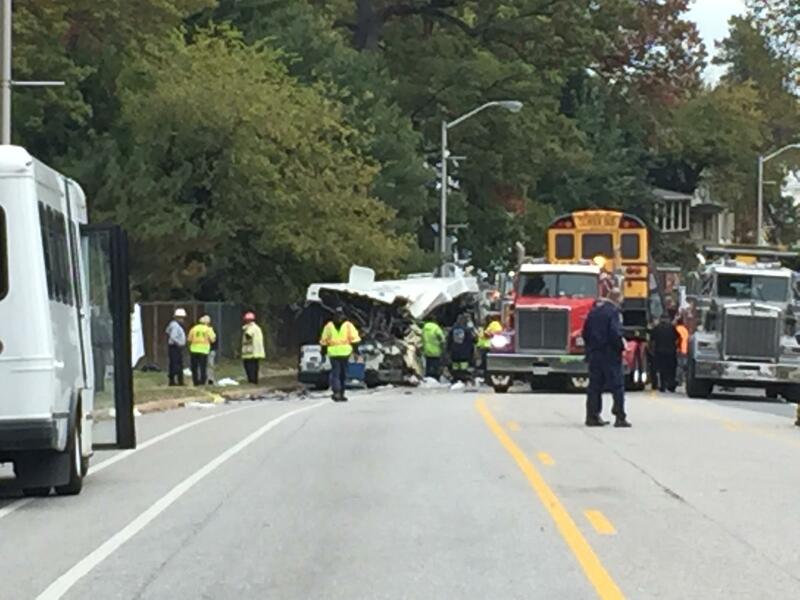 Rescue workers and investigators swarm the site of the bus crash in Southwest Baltimore. Police said there were no children on the bus at the time of the crash, before 7 a.m. in the 3800 block of Frederick Avenue. The driver, however, was killed and an aide was injured. Five people on the MTA bus were killed and the driver of a Ford Mustang involved in the crash was among the injured. One person suffered critical injuries, another serious injuries; the rest received minor injuries. Five of the injured were being treated at the University of Maryland Medical Center’s Shock Trauma unit. The others were being treated at other area hospitals. 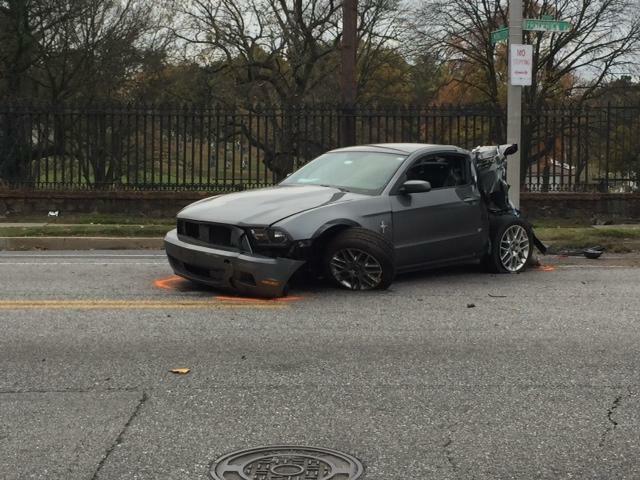 The crash closed busy Frederick Avenue into the afternoon on Tuesday. According to police, the school bus ran into the back of the Mustang, caromed off a pillar at the entrance to a cemetery and crossed into oncoming traffic, colliding with the MTA bus on the driver side. "I just heard a loud thud," said Father Mike Murphy, pastor of nearby St. Joseph’s Monastery Parish.Murphy said he was in the rectory when the accident happened. "Not long after, I saw the flashing lights of the police cars and the emergency personnel outside," he added. Police Commissioner Kevin Davis said the people on the MTA bus were "on their way to their jobs." "This is a complicated crash scene that’s going to take a lot of resources to get to the bottom of what happened," he said. City Fire Chief Ronnie Ford said the crash was "a major incident." "Some seasoned individuals in my organization say that they haven’t seen this type of wreck in their career," he said. Baltimore Police are leading the investigation with support from the National Transportation Safety Board. Smith said the NTSB was on scene mostly to observe.